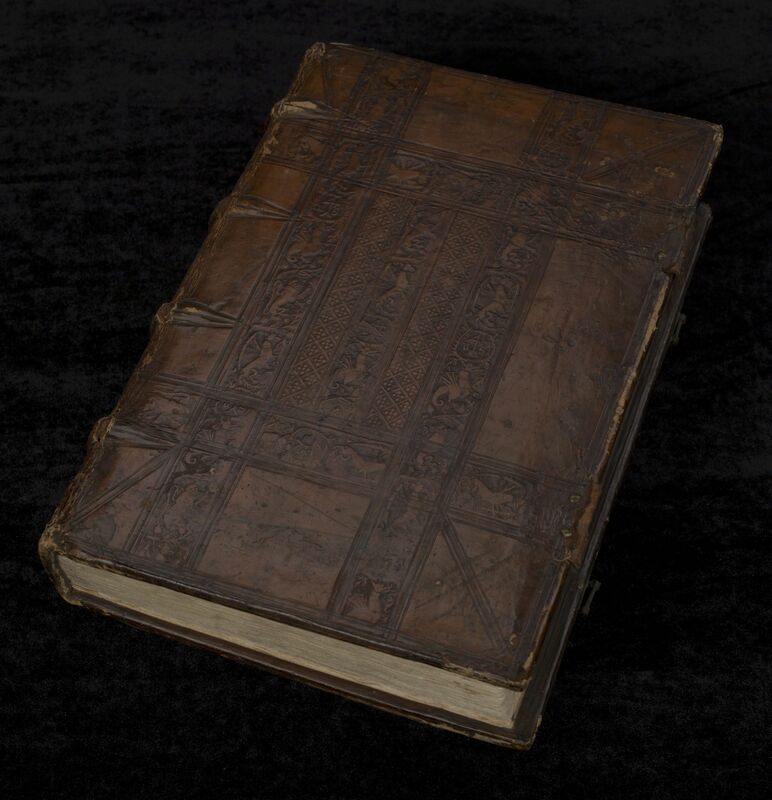 In 2008 the Baillieu Library was excited to purchase a rare original intact binding by the early Cambridge stationer Nicholas Spierinck, generously funded by the Ivy May Pendlebury Bequest. 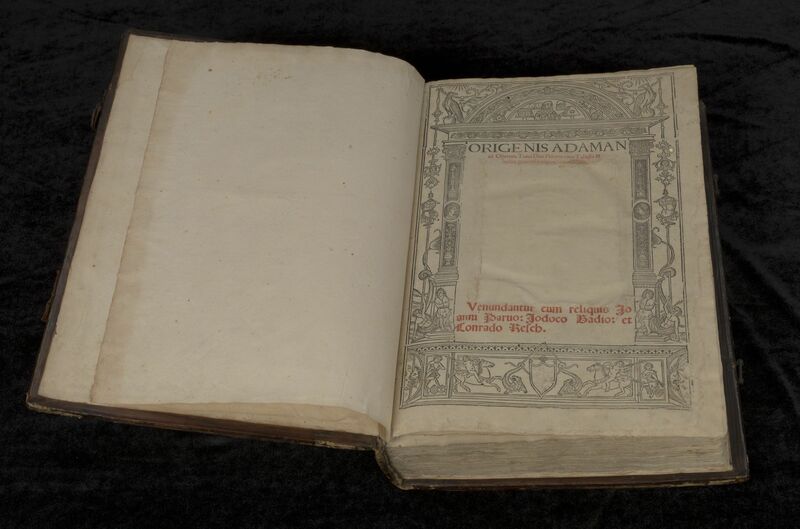 The beautifully tanned calfskin cover encases a 1512 Paris edition of the works of 3rd-century Christian theologian, Origen Adamantius (b.184/185 – d.253/254), entitled Origenis Adamantii Operum tomi duo priores… . At the time of the book’s acquisition, it was (and remains) the only known example of a complete Spierinck binding held in an Australian institution, bearing his personal binder’s mark, and incorporating his signature decorative schema of wyverns, gryphons and acorns. A former Baillieu Library Rare Books Curator, Pam Pryde, described this unique acquisition and binding in her December 2008 Collections magazine article. An animated 3D view of the binding, providing close inspection of Spierinck’s monogram and decorative devices is available here. In a recent intriguing twist to the tale, an uncatalogued box of bindings in the Rare Books Collection has been found to contain a pair of rare dis-bound Spierinck covers, together with 13 binding fragments from other provenances and time periods. 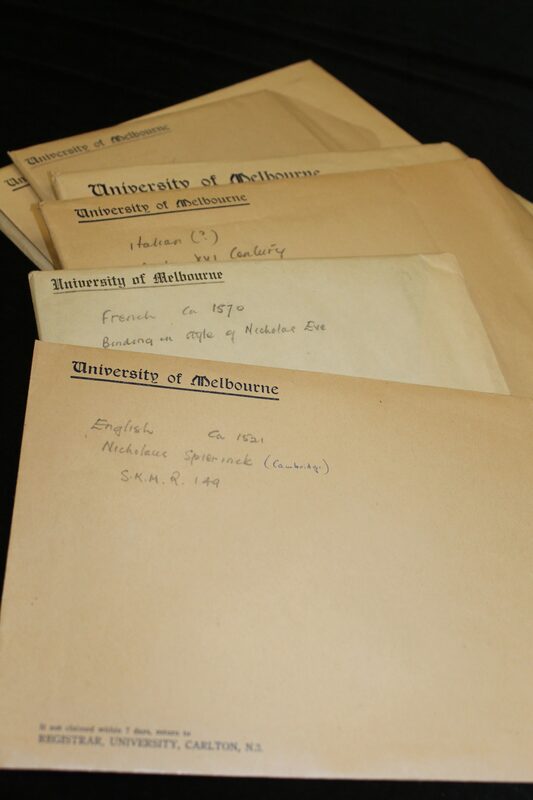 It appears that the samples were amassed by an unidentified donor, as a study collection for research and teaching. The envelopes containing the two Spierinck bindings are clearly marked with his name in a 20th century hand; this attribution is conclusively confirmed by the presence of Spierinck’s distinctive stamp on both panels, which match exactly with those on the intact Origenis binding. At first inspection, it is unclear whether the two dis-bound panels came from the same or different books, as one has been cut down in size and is 15mm smaller on each side than the other. A shared provenance, however, seems very likely as both specimens bear pin holes at the same points, where the clasp and straps used to latch the panels would have once been attached to the covers, front and back. 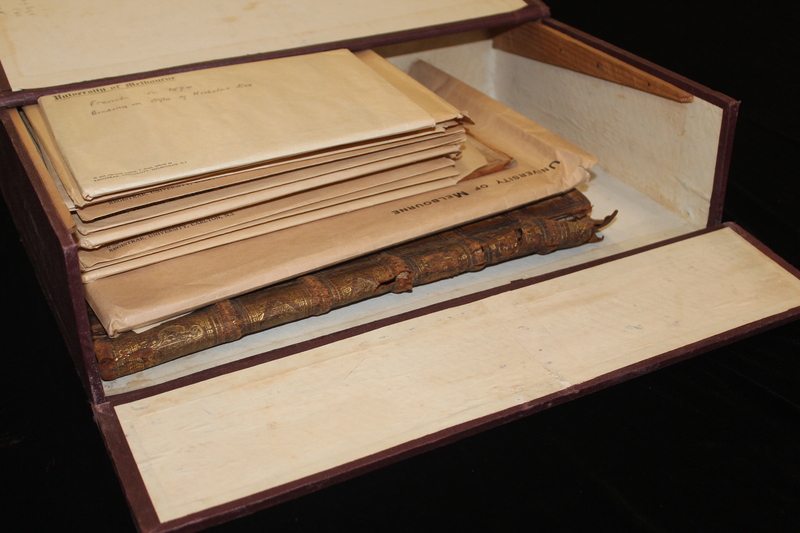 In tandem with blind stamping, cylindrical hand rolls were used as labour-saving devices, to imprint decorative bands across the leather, often incorporating a binder’s or bookseller’s distinctive ornamental motif or signature. [xii] We are very fortunate to have a splendid example of Spierinck’s principal hand roll (he had six) in the decoration of the Origenis binding, which can be compared with the border patterns used on the blind cover panels. 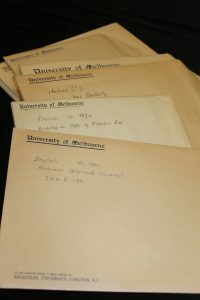 Until this research can be undertaken, how curious it is to ponder that these three Spierinck examples, which emanated from the same workshop in 16th century Cambridge, should be reunited after travelling separate paths, and be housed several shelves away from each other at the University of Melbourne, some 500 years later. [iii] Venn, p. 73. Incidentally, Siberch was a great friend of Erasmus, to whom he introduced Spierinck. [xi] Gray, Plate XVI – Evangelia, 1508. Gray, George & William Palmer. 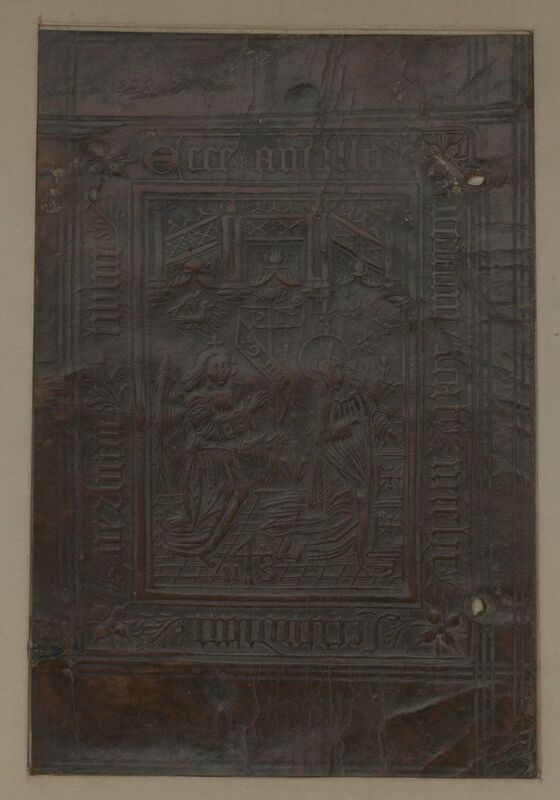 Abstracts from the wills and testamentary documents of printers, binders and stationers of Cambridge, from 1504-1699. London: Bibliographical Society, 1915. Gray, George. The earlier Cambridge stationers & bookbinders and the first Cambridge printer. Oxford: Bibliographical Society, 1904. McKitterick, David. 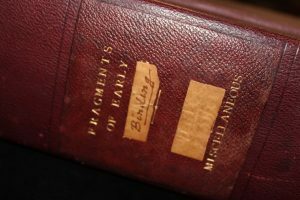 A history of the Cambridge University Press. Volume 1. Printing and the book trade in Cambridge, 1534-1698. Cambridge: Cambridge University Press, c1992. Oldham, J. Basil. Blind panels of English binders. Cambridge: Cambridge University Press, 1958. Oldham, J. Basil. English blind-stamped bindings. Cambridge: Cambridge University Press, 1952. Pearson, David. 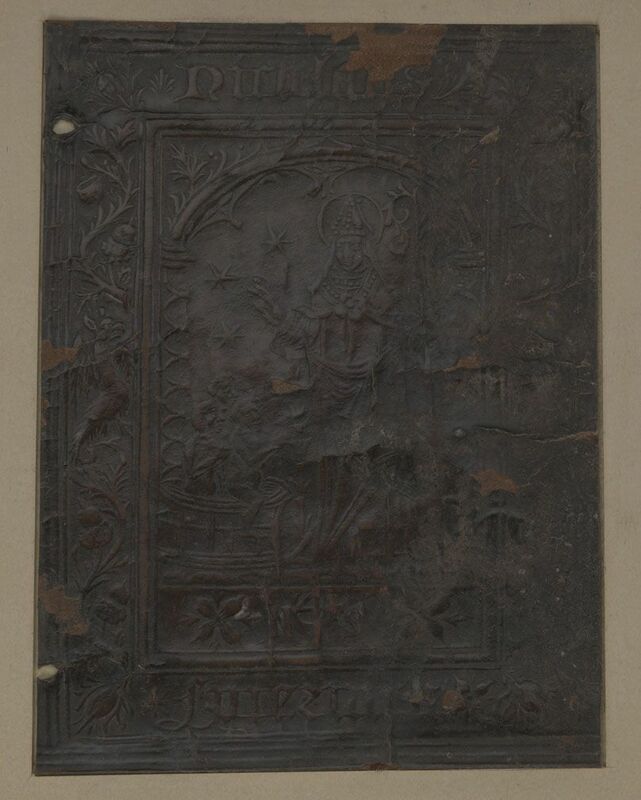 English bookbinding styles 1450-1800: a handbook. London: The British Library & Oak Knoll Press, 2005. Venn, John & J.A. Venn. Alumni Cantabridgienses: a biographical list of all known students, graduates and holders of officeat the University of Cambridge, from the earliest times to 1900. Cambridge: Cambridge University Press, 1927. Weale, W.H. James. Bookbindings and rubbings of bindings in the Victoria and Albert Museum. London: The Holland Press, 1962.